WuxiaSociety, wuxia novel translations and community. WuxiaSociety is a fan translation site for wuxia novels by authors such as Jin Yong and Gu Long. We chose a modern design that retained hints of cultural elements of the wuxia genre to provide a clean look that still invoked the wuxia atmosphere. 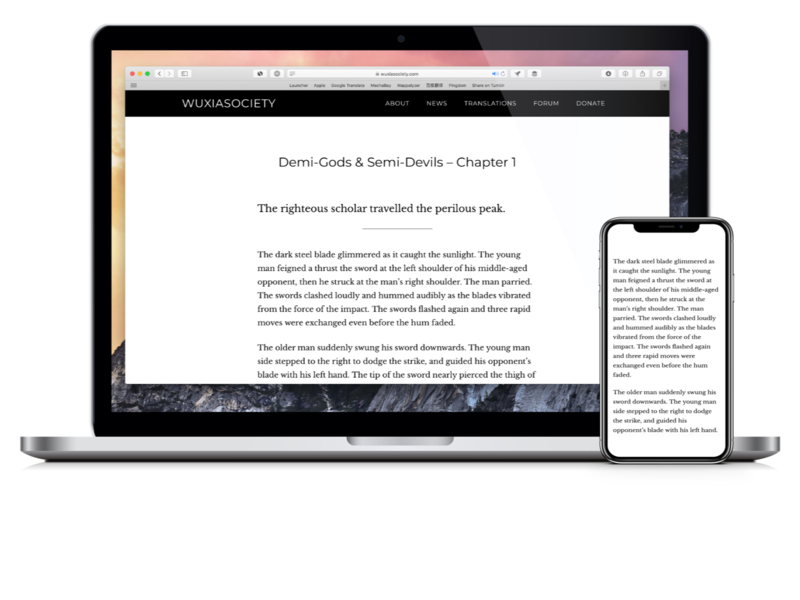 Most of the visitors to the site read the long translations, so we aimed for an interface that was comfortable for reading on both desktop and mobile. It also comes with a floating footnote function to explain terms and aspects of Chinese culture, while minimising the disruption to the flow of the reading experience. 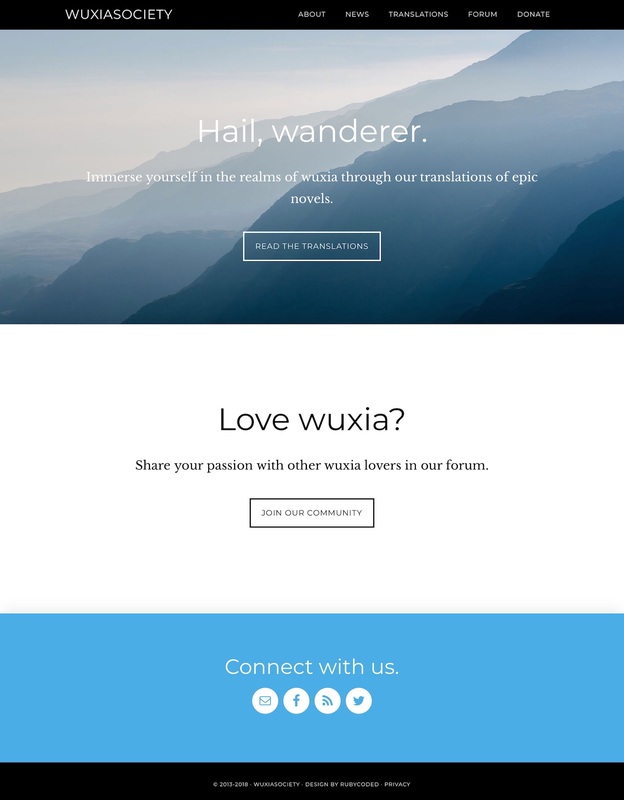 We designed the site logo to look like an wuxia manual as a homage to the genre. The covers of wuxia manuals are traditionally navy blue, hence we used that as the primary colour for the logo and the sites. 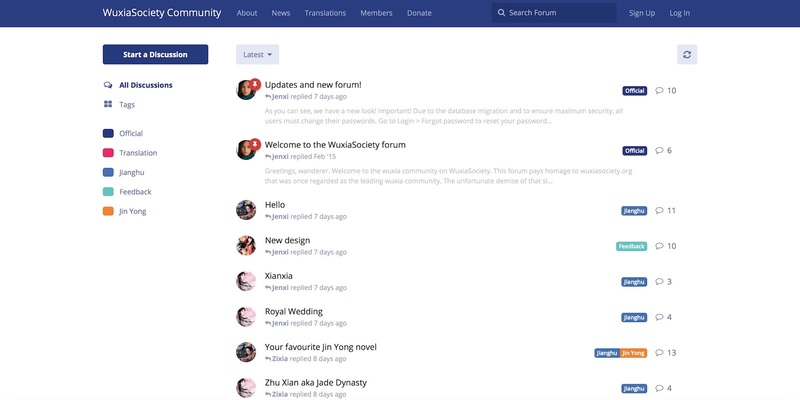 We created a forum for the community using the design style for the WuxiaSociety brand.